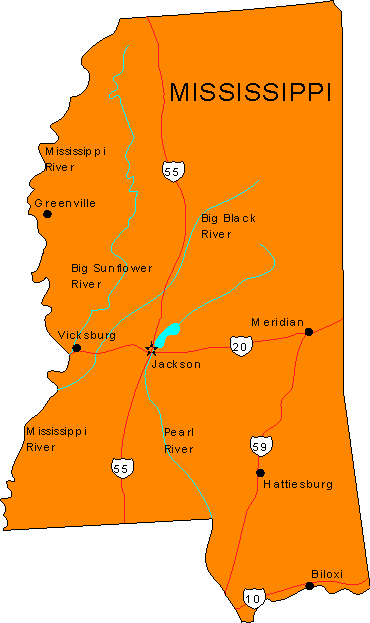 The durable and convenient Mississippi EasyToFold state map will take all the wear and tear your journey can dish out. The heavy-duty laminated design allows you to mark your route, make notes, then wipe the surface clean for further use. 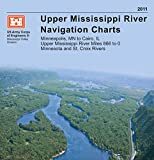 This is a must-have for navigation whether you're a state resident or just passing through. 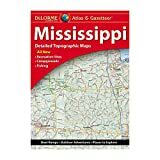 DeLorme Atlas & Gazetteers Are the Outdoor Enthusiasts' Choice Amazingly detailed and beautifully crafted, large-format paper maps for all 50 states Topographic maps with elevation contours, major highways and roads, dirt roads, trails and land use data Gazetteer section contains information essential for any outdoor enthusiast, such as points of interest, landmarks, state and national parks, campgrounds, boat launches, golf courses, historic sites, hunting zones, canoe trips, scenic drive recommendations and more (Note: available information varies by state) Perfect for sightseeing, exploring back roads, outdoor recreation and trip planning The Perfect Companion for Outdoor Recreation and Trip Planning Rely on DeLorme Atlas & Gazetteer paper maps for the utmost in trip planning and backcountry access. It's available in paperback (11-inches x 15.5-inches) for all 50 states. Rand McNally's Easy To Read State Folded Map is a must-have for anyone traveling in and around Mississippi, offering unbeatable accuracy and reliability at a great price. Our trusted cartography shows all Interstate, U.S., state, and county highways, along with clearly indicated parks, points of interest, airports, county boundaries, and streets. The easy-to-use legend and detailed index make for quick and easy location of destinations. You'll see why Rand McNally folded maps have been the trusted standard for years. By Gregory A Boyd J.D. 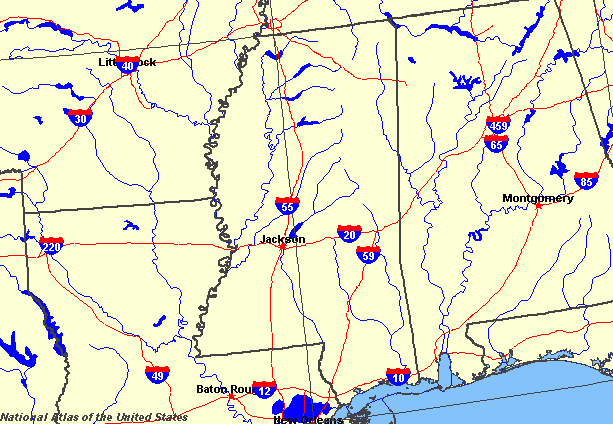 Deep South road trip planner: features a Louisiana map along with a Mississippi map. Looking for weekend getaways? Need a day trip? Motorcycle touring? Looking for a Sunday drive? Our local scouts have found the premier scenic highways and scenic byways of the region-it's the best route planner around, saving you hours of research. We'll show you the 30 best trips. Our maps features more than just road trips. They are more like mini-guidebooks, with tales of the region and the best attractions enhancing your road trips. You'll find the best Louisiana State Parks and Mississippi State Parks. Our route planner will take you along stretches of the famed Natchez Trace, a 444-mile road trip with great scenery and 10,000+ years of fascinating history. Not to mention the best roadhouses to hang out in for some true Southern cuisine. 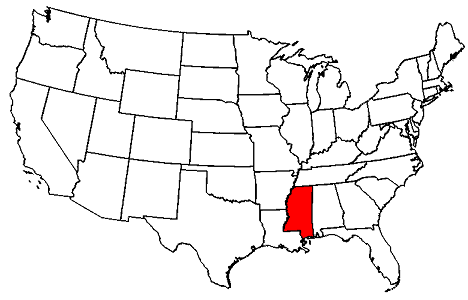 Louisiana and Mississippi epitomize the South, images of moss-draped oaks and Mississippi riverboats coming to mind. Add to this the sound of Delta blues and you definitely know you're somewhere different. Take to the road and see for yourself. MAD Maps' road trip maps are available in traditional paper maps, as well as maps for iPhone and Android. This book is designed to help students get Mississippi Assessment Program (MAP) 2017-18 rehearsal along with standards aligned rigorous skills practice. Students will have the opportunity to practice questions related to all the critical math learning objectives included in the common core state standards (CCSS) and college and career readiness standards (CCRS). Easy access to Blogs, Standards, Student Reports and More..
More than 10,000+ Schools, 19,000+ Teachers, and 150,000+ Students use Lumos Learning Study Programs to improve student achievement on the standardized tests and also to master necessary math, language, and reading skills.